If you've been convinced by all the people telling you: 'Everyone should visit Bali ONCE in their lives', go straight to our guru's list of hotel recommendations. If you're still not sure, here are some good reasons to visit and the best places to stay in Bali to enjoy them. Beautiful! Warm! Friendly! These are the three things people gush about Bali. 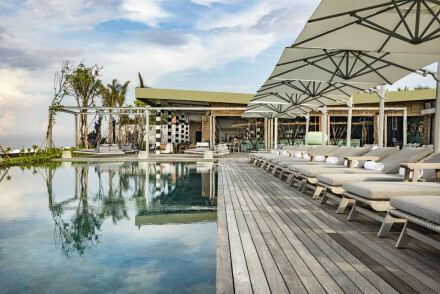 Bali's beauty and climate has attracted some of the world's most luxurious hotel chains and with them you'll find sophisticated restaurants and bars. All with friendly, friendly service. The landscape: the temperate climate has a gentle humidity to it and everything is lush and green, fuelled by the rich volcanic soil. Rice paddies cut into the jungle give the views a quiet order. Mountains loom and beaches invite - from the white sand of the Bukit Peninsula to the yellow of busy Kuta and the wild, dark sand beaches to the east. The traditions: You'll often come across flower petal offerings or the music and dance of a traditional ceremony. Sometimes it feels like there's a temple on every corner and the smell of incense lingers. Traditional life retains its own strong colours, tastes and celebrations. Religious ceremonies hold up traffic whenever they need to. It may well be that the best food you eat on the island is bought in the market. Bali is also famous for surfing, diving and beautiful beaches. So whatever you're into there's something for everyone to experience. Ubud is probably one of the best places to stay in Bali if you're interested in experiencing the colour of her culture. This is museum and gallery central and a short driving distance from some of the most beautiful of the island's 20,000 temples. This used to be where the backpackers and artists came, but now there are plenty of luxurious options for food, drink and sleep as well. This is also one of the top destinations on the island to see traditional performances - the best of which are held in the old royal residence. With so much to see and a great climate Bali is very popular. To be sure of your room in one of the best places to stay in Bali do plan and book well ahead. 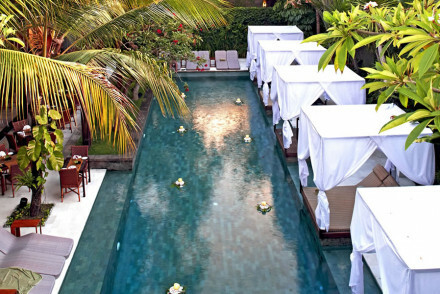 The Oberoi is Bali's "Grand Dame" of the beach resort. 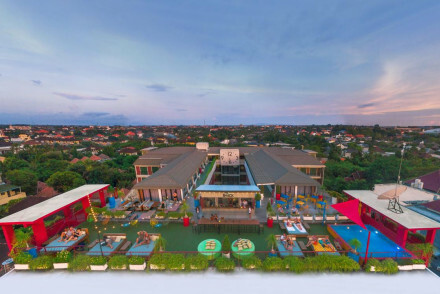 As you'd expect here, you'll find excellent service, fabulous food and direct access to Seminyak Beach. Puri Ganesha offers the perfect place to relax. This Bohemian property enjoys a secret hideaway location and boasts some of the best food on the island. Jimbaran Puri is located right on Jimbaran Bay. The luxury resort has stunning sea views and accommodation is in charming cottages and villas dotted around the grounds. Alilia Villas Soori enjoys an isolated position away from the crowds and right on a velvety black beach. Interiors are super slick - it truly is a dream spot for the design conscious! The Matahari Beach Resort offers accommodation in traditional, handmade Balinese bungalows, all lined up along a private beach. There’s an outstanding spa and a gourmet restaurant. 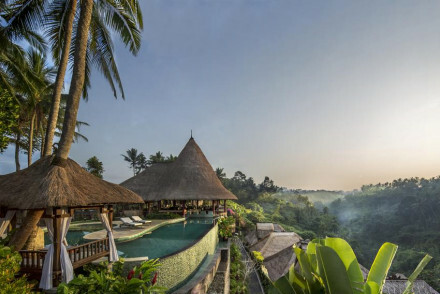 If you've come to relax then one of the best places to stay in Bali is Uma Ubud. Amongst the beautiful, tropical gardens you'll find plenty of luxury and elegance with thoughtful touches - yoga mats in all 29 spacious rooms, for example. They do daily yoga classes and guided walks though the mist of the rice paddies. 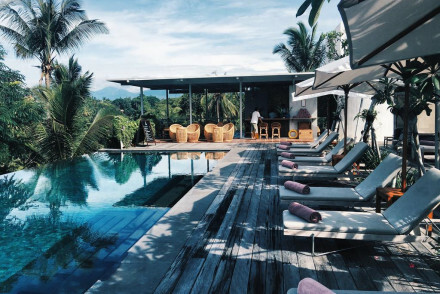 If you’re here to relax then Desa Seni, the yoga and wellness retreat might serve you well. There are 12 rooms set amongst beautiful gardens, plus an organic restaurant and free daily yoga classes. 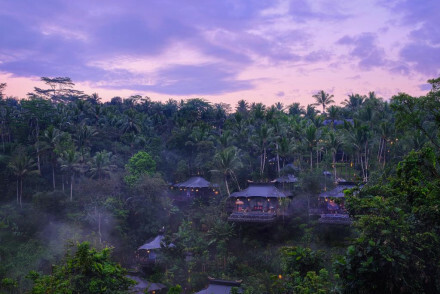 Alila Manggis is another very tranquil offering, this time a larger resort, but there’s a great yoga pavilion, a spa, tai chi classes and you’re surrounded by great cycling trails. Shambhala is ideal if you're looking for some privacy. Its 30 suites are in nine individually designed villas - each with their own pool and other facilities. It also has a luxury spa and it's a good place for a bit of adventure - they can help organise some trekking, rafting or mountain biking. The Sanak Retreat is set within stunning tropical gardens surrounded by rice paddies, and offers accommodation in 11 spacious bungalows. The interiors are chic and minimalist and there’s Balinese cuisine on the menu. Private and intimate, The Shaba is a mansion hotel built amongst a coconut grove, with opulent, teak-floored rooms with chandelier and silk furnishings. As well as the pool and bar there’s also a library and a romantic outdoor dining area. The Purist Villas & Spa is a collection of villas in a garden resort style setting. Each villa has its own sun deck, the decor is contemporary - some villas have their own pool too. Balinese cuisine is served to you in your own villa and there’s a 24hour butler service. 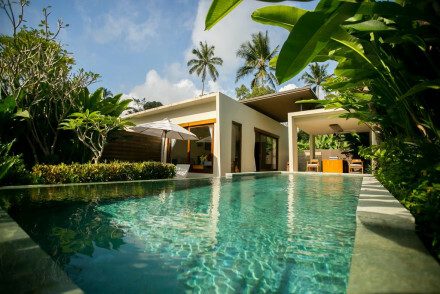 The Bale is a five star villa resort with 29 villas complete with private pools and walled gardens. The decor is minimalist. As well as your own villa there’s a library, spa, sauna, gym and complimentary bike hire. 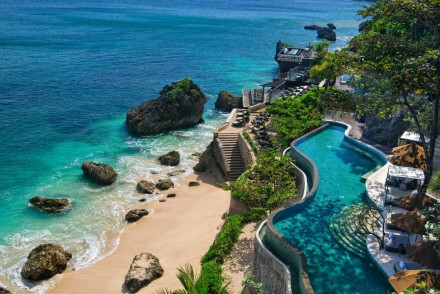 The Alila Villas Uluwatu ’s clifftop position makes it different from other Balinese resorts. Firstly the views are something else, but the design is locally sourced and sustainable too. There are 61 rooms and suites, some with private pool, and some with bathrooms that have breathtaking views. There’s a seafood restaurant and an Indonesian restaurant. 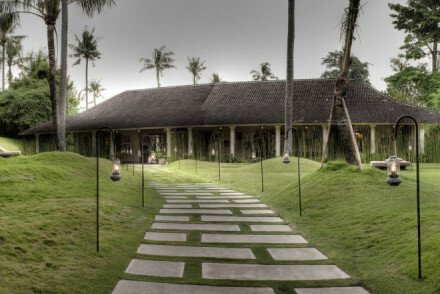 If you want a taste of traditional Balinese life try Bambu Indah. 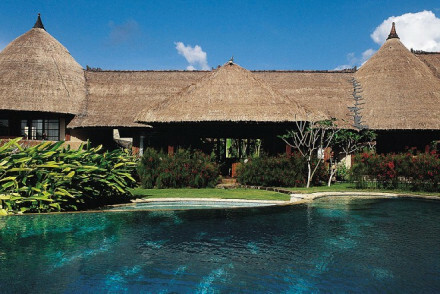 The accommodation is in traditional Javanese, thatched roofed homes, which have open air bathrooms and large verandahs. You're right in amongst the rice fields, so you'll hear the chattering of animals at dusk and dawn. Uma Ubud is a sophisticated option with just twenty nine spacious rooms and suites. Set amid tropical hillside gardens, you can stroll into Ubud in twenty minutes. Set amongst the terraces of the Ayung River Gorge, the Ubud Hanging Gardens is a light, airy traditional-style property with 38 rooms complete with muslim-draped four-poster beds and private plunge pools. The spa is great, as is the restaurant. The Four Seasons Sayan is a tranquil hideaway set amongst lush, tropical gardens with 60 luxurious rooms and suites, each with their own lovely, secluded terrace. The spa is bliss and there’s a choice of Indonesian or international cuisine. Bisma Eight is a tranquil property set in the jungle. There are 38 rooms with an industrial bent, and Japanese style glass doors leading onto secluded terraces. Plus a great restaurant. 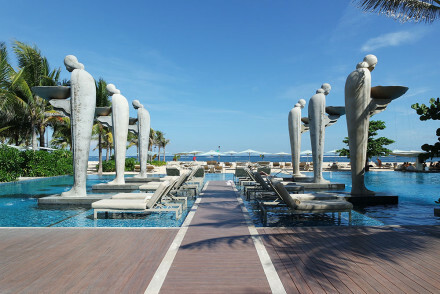 The Mulia in Nusa Due is a classically designed resort with 111 rooms and suites with clean lines and spectacular views. The spa is superb and there’s a postcard-perfect beach. Katamama is a chic property with 58 enormous rooms and suites. The decor is contemporary and the vibe is beach-y, with modern art and exposed brickwork. The bar is cool and the views are great. The Tugu offers a collection of colonial style pavilions right on the beach. Inside there are four-poster beds and Balinese antiques, some even have their own private pools. There are just 21 rooms but a choice of five restaurants plus a bar. 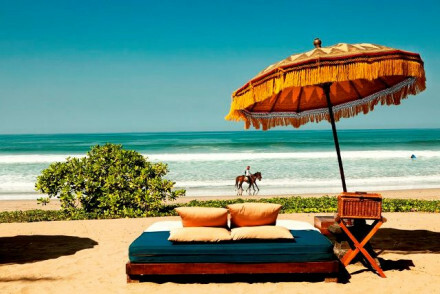 Puri Ganesha boasts that its Bali’s most secret beachfront hideaway. With just four villas set in their own private gardens, each villa with its own staff. 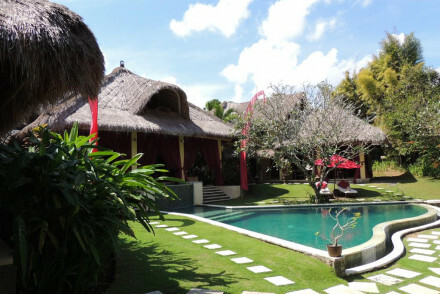 The food is Balinese and excellent and the experience is peaceful and private - perfect for both families or couples. The Villa Mathis is a collection of 18 rooms in four boutique villas in peaceful, rural Umalas. The accommodation feels tradition with plenty of track, Alang-Alang roofs and batik drapes. There’s also a pool and spa. Rooms start from around £110 per night. The Senetan Villas & Spa Resort is a secluded collection of luxurious villas a short drive from Ubud. There are private pools, jungle views and clean, contemporary decor and an excellent restaurant. All for around £120 per night. Most visitors arrive via Bali Ngurah Rai International Airport - which is also sometimes called Bali International or Denpasar International, but its not in Denpasar, it’s in Tuban, which is about 30minutes from Denpasar. This is a major hub for Australia and South East Asia, but if you’re coming from Europe or the US you might have to travel vial Jakarta Airport. Some hotels and resorts will arrange you an airport transfer, but there are plenty of taxis, arranged and pre-paid at a ticket booth just before the duty free area. Bali is just shy of the equator so you can expect it to be tropically warm and humid year round - through there’s definitely a wet and a dry season! The most popular time to visit Bali is during July and August and over the Christmas period, but if you’re not limited by school holidays then you’ll find good weather and good hotel deals between April and June and September, when it’s still dry but not so busy. Expand your search to include the best places to stay on Lombok, which is just next-door? Or include all the best places to stay in Indonesia? Luxurious villas set within a blissfully tranquil tropical garden. The villas traditional exteriors open onto contemporary and spacious interiors with wooden floors, expansive windows and private gardens housing outdoor bathrooms. A lovely hideaway on this ever popular island. Total relaxation - Luxury villas hidden amidst a lush tropical garden, the perfect place to unwind. Sights nearby - Hire one of the hotel's minivans with driver and set out to visit some of the many beautiful temples across the island. 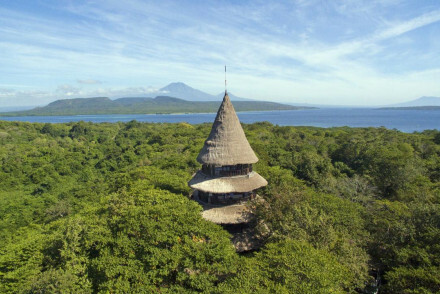 Stylish jungle retreat set within West Bali National Park, a short boat ride from Menjangan island. Luxurious cottages are located right on the beach, as is the spa. Dine in the Bali Tower restaurant or gazing out to sea at Pantai. Plenty of activities: horse riding, scuba diving, and snorkelling. Tropical modernism meets Miami cool, Kelapa Retreat & Spa provides a chic alternative to the surfer's accommodation located along Pulukan beach. Sleek, white-on-white villas boast private pools. Dine on Indonesian dishes or wallow in the infinity pool overlooking the beach. Villa Mathis enjoys a peaceful rural location outside the small village of Umalas. With four boutique villas offering accommodation furnished with traditional Balinese materials (think plenty of teak, Alang-Alang roofs and batik drapes). Unwind by the pool or in the spa! A superbly relaxing stay. Romantic Break - Beautiful accommodation in a glorious setting-what more could you ask for? 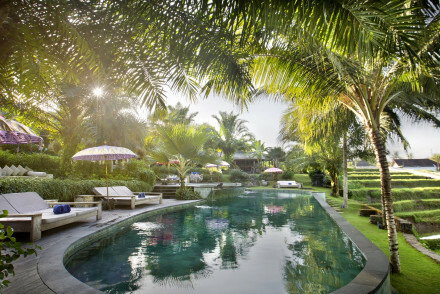 Secluded luxury villas offering private pools, jungle views, and revitalising peace and quiet, a short drive from Ubud. Minimalist in style, villas feel clean and contemporary. A romantic restaurant offers up superlative (homegrown) dishes and the spa is utterly spoiling. An indulgent stay. Total relaxation - Designed with restoration in mind, unwind over a Balinese massage, take a lap of the pool or simply enjoy the tranquility. Sights nearby - Take the shuttle into Ubud and visit the impressive Ubud Royal Palace. Swimming Pool - Outdoor pools. 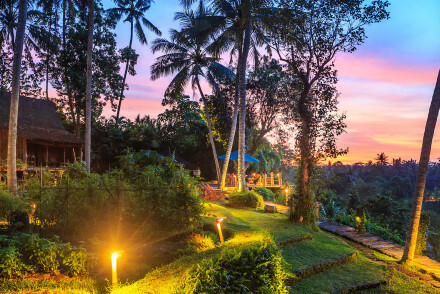 Set behind a series of rice paddies and secluded from bustling Cangguu, the Desa Seni is a restorative yoga and wellness retreat with achingly pretty gardens, a superb organic restaurant, and free daily yoga. Designed to recreate an Indonesian village this is a picturesque spot to totally unwind. Total relaxation - A tranquil location complete with yoga studio, spa and swimmingpool. Surfing - Try your hand at surfing at one of the nearby beaches known to have some of Bali's most reliable waves. Local markets - Explore the Canggu Sunday market and pick up some local handicrafts. Secluded seaside resort offering a tranquil stay between the sea and Mount Agung, Bali's most sacred mountain. Offers a spa, restaurant, swimming pool, yoga pavilion and great bicycle rides. Also provides a shuttle bus service into the centre of town, free WiFi throughout the hotel and taichi. Swimming Pool - Inverted pyramid pool running deeper towards the center. Villa-resort set in tropical gardens. Each private villa has contemporary decor, with stone walls, sun decks, wooden artworks and some with private pools. Outstanding spa, outdoor pool, yoga pavilion and gardens. 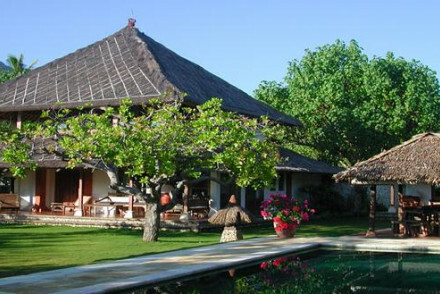 Superb Balinese cuisine served in villas. Intimate and luxurious. 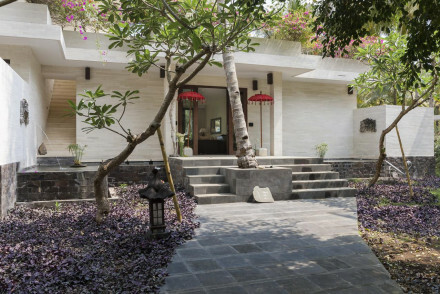 Chic, stylish and set in stunning rural Bali, Mathis Retreat is a place of absolute calm. Spacious rooms are light and airy perfectly mixing tradition and modern. 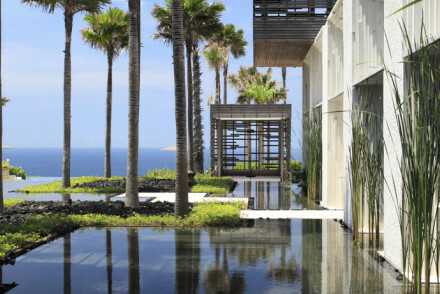 Featuring indulgent bathrooms with enormous freestanding baths, a spoiling spa and infinity pool. Ideal for completely unwinding. Total relaxation - An infinity pool, Balinese spa and tranquil setting amidst lush paddy fields makes for a very relaxing stay. Surfing - Take a class and learn to ride the waves at the Rip Curl School in Legian. Located just outside Ubud's centre, Blue Karma Nestling Escape offers fifteen individually designed, spacious and luxurious suites which perfectly marry traditional Indonesian architecture with up-to-the-minute modern comforts. Stunning views, lush tropical gardens, excellent food....sheer bliss! Sights nearby - The property is situated in the heart of Ubud, so you're close to all its highlights. Great walks - The hotel organises guided treks through the rice paddies and jungle. Sanak Retreat is set in a stunning tropical landscape, surrounded by rice fields and boasting wonderful views. The property offers spacious wooden bungalows with chic, minimalist interiors and private balconies. Splendid Balinese cuisine served up. A relaxing and superbly romantic getaway! 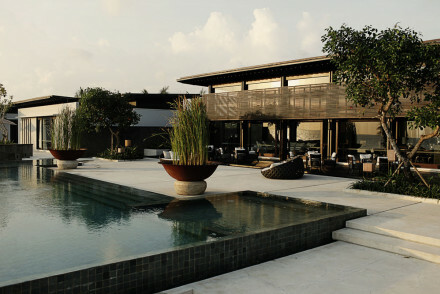 A modern luxury hotel, set on the onyx-black shores of Canggu, topped by 12 penthouse suites. The rooms go from indulgent to lavish extravagance, though the sleek minimalist interiors inject an element of simplicity. Beachside dining with top notch local catch and a vibrant atmosphere. 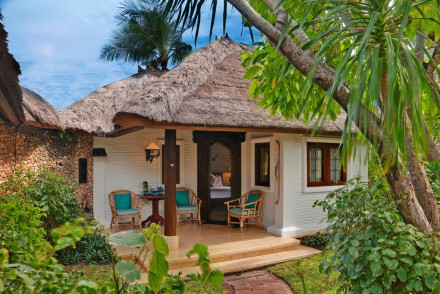 Traditional, handmade Balinese bungalows situated on a private beach. As well as outstanding spa facilities, massages and entertainment there is a gourmet restaurant. Receive a warm Balinese welcome and make the most of the luxurious facilities and stunning tropical gardens. Seventeen private villas perched on a hill overlooking the lush forests of Ubud. Enjoy lunch and dinner with a view, whilst breakfast can be ordered to your room. There is a gym, spa, and heated infinity pool (as well as your own private pool). Just 30-minutes from Ubud this is total relaxation. Romantic Break - Private pools, fine dining, gorgeous views and suites. Ideal for a romantic break. Mansion hotel in coconut mangroves. Opulent rooms have antique teak floors, freestanding baths, chandeliers and silk furnishings. Full kitchen and living area shared by suites. Outdoor pool, spa, library and bar. Great south-asian cuisine, in romantic outdoor dining area. Privacy and elegance reign. 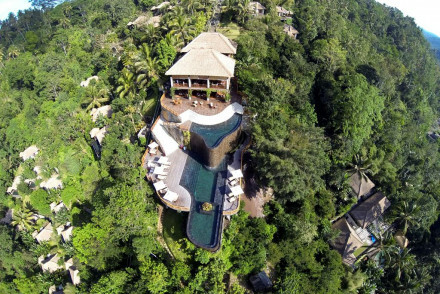 A stunning luxury resort with 222 acres of jungle, on the cliffs of Jimbaran Bay. There is something for everyone- traditional Balinese villas, European style suites, multiple pools, private beaches and an award winning spa. Dine at one of the 19 restaurants or enjoy a signature sunset. Marvellous! Sandat Glamping Tents enjoys a stunning forest location, a short distance from Ubud. This romantic spot offers luxurious private tents with chic furnishings and authentic Indonesian and Balinese cuisine. Escape from the heat with a refreshing dip in the pool. A magnificent retreat! A gloriously tranquil jungle property. Design mixes Balinese style with an industrial feel. Rooms boast dark polished wooden floors, luxury bathrooms and large Japanese style glass doors leading onto secluded terraces. A top-notch restaurant run by Aussie chef is a real delight. Roll up and unwind. Hideaway - A tranquil jungle abode designed to completely relax in. Cooking classes - Learn how to make Balinese cuisine by master chefs. Luxury resort offers stunning view of Balinese foothills from the comfort of infinity pool, spa and deluxe rooms. 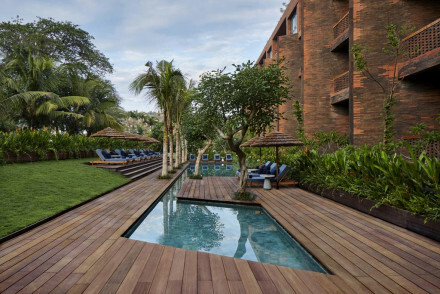 Boasts an art gallery, 24 hour in-room dining, and unique Balinese experiences organised by the staff. Built using traditional designs, it is both stylish and culturally fitting. 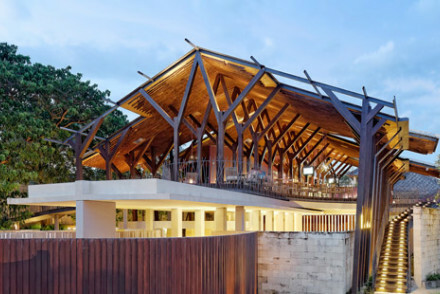 Sights nearby - Artistic centre in Ubud. Colonial pavilions close to the beach. Interiors are filled with mahogany four poster beds, antique Balinese furniture, luxurious bathrooms and some with private pools. Outdoor pool, spa, sauna and gym. Two superb restaurants and rooftop bar. Unique and laid back with excellent service. Set amidst a dramatic volcanic landscape you find a little slice of luxury on Bali's north-eastern coast. Spacious rooms mix traditional design with contemporary style to great effect. From the pampering spa to the wholesome cuisine this is a place to come and fully rejuvenate. Spa breaks - Unwind in the healing spa boasting an extensive treatment list and indoor and outdoor facilities. Hideaway - A tranquil, adult only, retreat ideal for escaping from a busy modern life. Sights nearby - Discover the intricately carved stone work in a local Balinese village. Cooking classes - Learn how to make healthy regional dishes with the hotel chef. 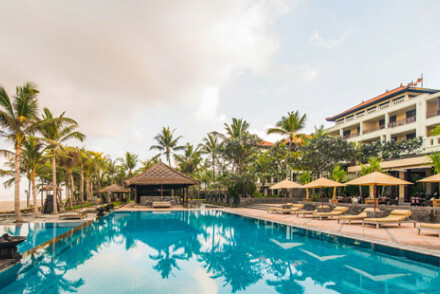 The Grand Dame of Bali, a well-run, traditional resort on popular Seminyak beach. 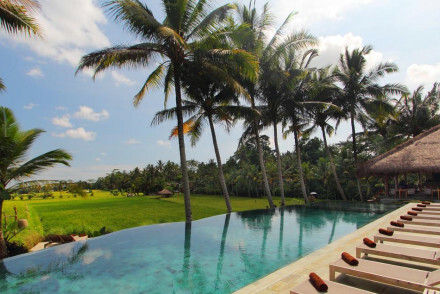 Luxurious Balinese styled villas, some with private pools. Exceptional food served in a romantic setting, and an extensive spa. The perfect beach escape. Honeymoons - Exclusive and romantic villas, with walled courtyard gardens and large private poolss, extensive spa and fantastic food. Spa breaks - A glorious spa with Balinese and Thai massages, mineral mud wraps, Hot Stone therapies and Oberoi signature treatments. Sights nearby - Experience a blessing by a Hindu priest at the Petitenget Temple. Sensational 5* resort. Private villas host private pools, walled gardens, minimalist furniture, and gorgeous bathrooms. Additional outdoor pool, library, spa, saunas, gym and bicycles. Fantastic organic cuisine of Asian and European base. Luxurious and secluded with outstanding service. A truly remarkable eco resort nestled amongst lush hills, over looking the Ayung River. The beautifully restored old tribal houses, ranging from rustic to chic, mix traditional Javanese furnishings with eclectic pieces from around the world. An enchanting paradise, that's almost impossible to leave! Back to Nature - Spectacular the views of mountains, rice paddies and hills. guests are lulled to sleep by the frogs, crickets and running water. Great walks - There is fantastic hiking in the surrounding hills, venture out on your own or with a guide. Views - Spectacular views of the surrounding rainforest. Stunning hillside accommodation set in a tropical landscape looking out to Bali's north coast. Enjoy the private swimming pool or relax with a massage treatment. Luxurious private villas with balconies and large, air conditioned bedrooms. Forage for exotic fruit in the hotel garden. This village of villas offers first-class hotel services such as a spa, 25 metre swimming pool and room service, whilst simultaneously allowing for true privacy in your own villa. Babysitting, an air-conditioned library and a complimentary shuttle service ensures complete comfort for guests. Swimming Pool - Each villa has it's own pool. 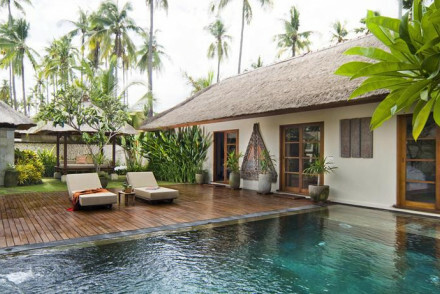 Relaxation is key in this villa estate, where a 25 metre swimming pool, spa and sophisticated Indonesian architecture ensure a comfortable, luxurious stay. Located just 10 minutes walk from Seminyak Beach. Villas come with kitchenettes, free wifi and private swimming pools. Swimming Pool - Each Villa has it's own swimming pool. 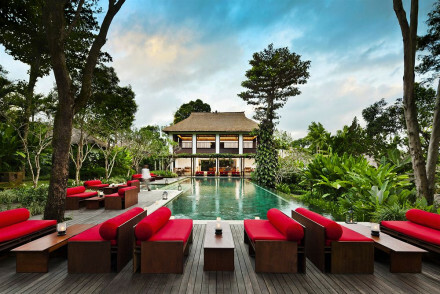 Regarded as one of Bali's best 5 star resorts this is a property sure to not disappoint. Rooms are classically designed with spectacular views, clean lines, all the mod cons and luxurious bathrooms. Spend days indulging in the superb spa and unwinding over a cocktail on the picture-perfect beach. 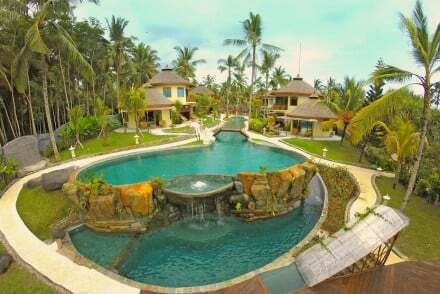 Beach Life - Located directly on Bali's most beautful stretch of white sandy beach. 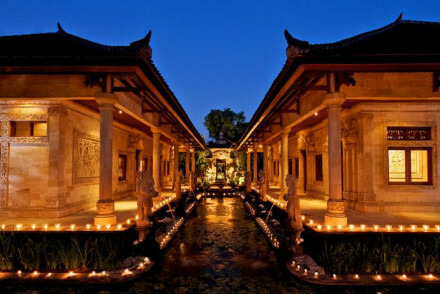 Spa breaks - Boasting one of Asia's largest, and arguably best, spas. Sights nearby - Leave the complex and visit one of Bali's impressive temples for a dose of culture. An utterly spoiling country retreat, five minutes from central Ubud. Chic and sophisticated rooms come with four poster beds, deep soaking tubs and private verandahs. A luxurious and grown up place to rejuvenate. Back to Nature - Surrounded by lush vegetation and rolling hills with an abudence of bird life, a country retreat within reach of the city. Great walks - The hotel offers simple guided walks among the villages, temples, rice paddies and jungle gorges surrounding Uma. Birdwatching - Victor Mason's Bali Bird Walk is entertaining, interesting and a must for anyone interested in wildlife. Elegant, romantic seclusion in a luxurious beachfront setting. 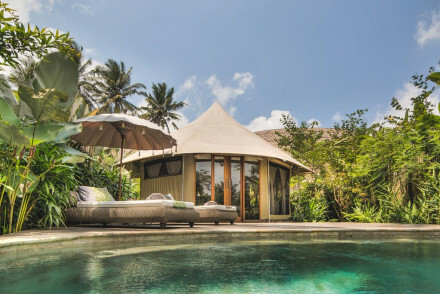 Airy Balinese styled villas with gorgeous bathrooms featuring sunken baths. Direct access to one of the best beaches in Bali. Dine on the beach and sample some of the islands best seafood. Ideal for couples and families alike. Total relaxation - Refresh and relax in this tranquil haven with open air massages, morning yoga sessions and long days lounging by the pool. Romantic Break - An indulgent luxury retreat- sip on cocktails in your outdoor bath or wander hand in hand along the sandy beaches. Local markets - The early morning fish market takes place just up the beach and is well worth checking out. Surfing - Surf at Airport Rights accessible by boat from Jimbaran Village. 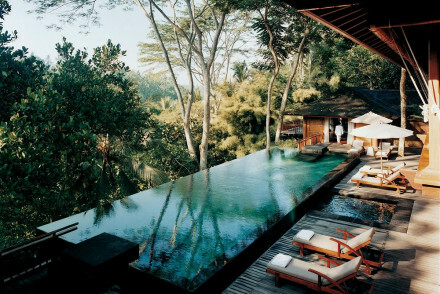 A five star luxury hotel set in the tropical hills of Bali. Private villas are traditional in design, albeit with some serious luxury - think personal plunge pools, spectacular views, coffee machines and fine thread sheets. An indulgent spa and exemplary restaurant make this a very special stay. 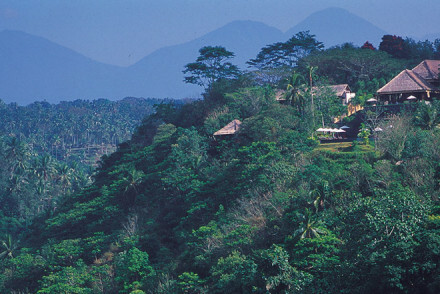 Total relaxation - A luxury hotel set in the remote and tropical Indonesian mountain foothills. Cooking classes - Learn to cook traditional Indonesian dishes with the hotel's chefs. Birdwatching - Find a diverse array of birds in Bali's Bird Park. A chic property with stunning sea views encompassing both a laid-back beach dwelling and a lively night spot. Enormous rooms are contemporary in style with clean lines, modern art and exposed brickwork. Boasting an achingly cool bar with cocktails made by a master mixologist. Superb. Beach Life - A chic hotel on a stunning stretch of beach complete with a hip cocktail bar. Stylish 5* resort on the beach. Interiors have parquet floors, cream furnishings, Balinese artworks and contemporary furniture. Outdoor pools, direct beach access, gym, spa, library and kids club. Excellent international dining and choice of ambient bars. Gorgeous, friendly and laid back. 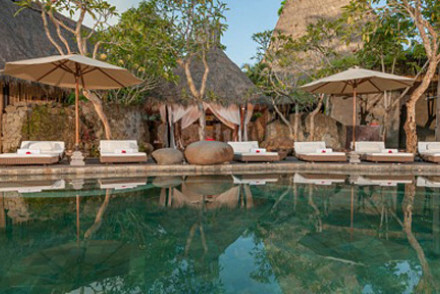 Fivelements is a hotel founded on Balinese philosophy, stressing sustainability, wellness and social harmony. 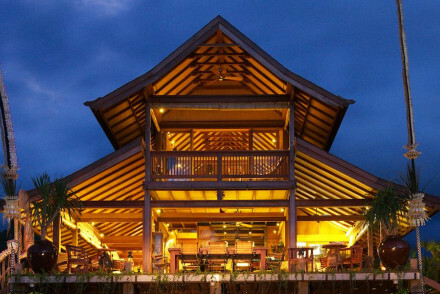 The 9 suites are traditionally built in bamboo with private terrace overhanging the sacred Ayung River. A must for anyone wanting to experience traditional therapies and healing. A luxury hotel set amidst the lush landscape of the terraces of the Ayung River gorge. Light and airy rooms are traditional in style with polished wooden floors, delicately beamed ceilings, muslin draped four posters and private plunge pools. The cuisine is excellent and spa totally spoiling. Bliss. 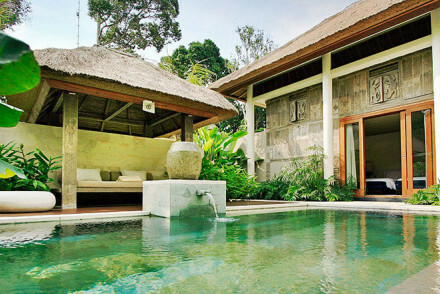 Total relaxation - Luxurious and tranquil villas, complete with private pools, situated in the lush Ayung River gorge. Cooking classes - Find numerous cooking schools in the area teaching regional dishes. Local markets - Explore the lively markets in Ubud. An sustainable eco friendly super slick resort, on the perfect black beach. Villas range from one to ten bedrooms with private terraces, infinity pools, butlers and some with dining rooms. Pamper at the spa, explore the surrounding paddies and immerse yourself in local culture. Totally unique. Surfing - Alila provides surf boards for those who want to get out and brave the Bali waves on Black Beach! Local markets - Alilia will organise trips to local food markets and terrocota tile producng villages. Sights nearby - Only a ten minute drive from the renowned 16th century Tanah Lot Temple. Swimming Pool - Private infinity pools. Bali's most secret beachfront hideaway. Just four villas set in their own private gardens and staff assigned for each. Excellent and reasonably priced organic Balinese cuisine. Wonderfully tranquil and private. Ideal for families or lovers alike. Hideaway - Just four secluded villas with private pools, surrounded by lovely lush greenery making this a completely tranquil escape. Beach Life - Situated on the unspoilt north coast of the island with each villa offering direct access to the lovely sandy beaches. Diving - There are daily diving tours off Menjangen Island- make the most of the fish filled waters of this local turtle sanctuary! Local markets - Venture into the local food markets with the expert help of the owners, a truly memorable experience. 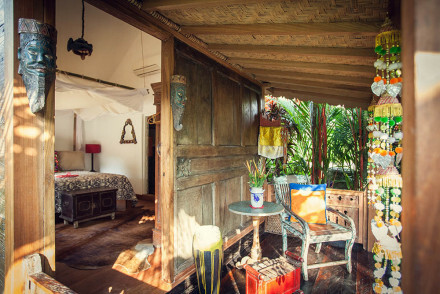 A wonderfully opulent tented camp in the lush rainforests of Ubud, Bali. The one and two bedroom tents are spectacularly decorated with antiques, local crafts and opulent European furnishings- plus each tent has its own terrace and plunge pool. The restaurant is excellent and the spa indulgent. 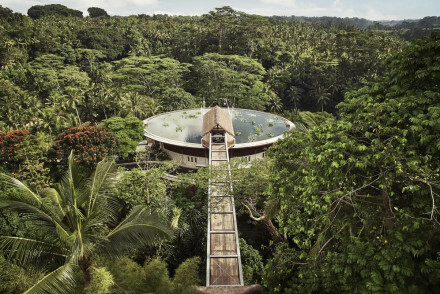 A wonderfully opulent spa retreat in the rainforests along the Ayung river. With wooden suites and villas, fourposter beds, several infinity pools and outdoor rainwater showers. Everything here seems to have its own natural flow, simplicity meets luxury. Great walks - The resort offers complimentary guided walks through the rainforest, the views are unbeatable. Cooking classes - Cooking classes and demonstrations are available on request. Restrictions on children - Children under 16 can only to accommodated in the villas. A stunning resort with world-class service. 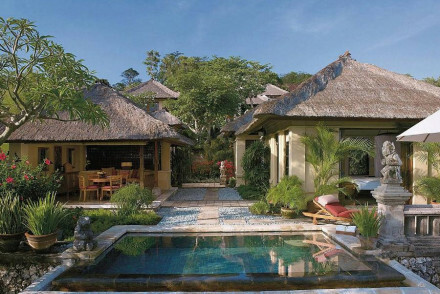 Individual villas are luxurious and spacious with Balinese touches in the design. Three excellent restaurants, a beautiful pool, spa and access to a powder white sand beach. Endless activities to keep all entertained. Ideal for families and lovers alike. Total relaxation - Enjoy the sun, sea and complete laid-back island tranquility- along with the private butler and pampering spa treatments! Romantic Break - Couples massages, fine dining under the stars, opulent villas with private pools and of course the crystal clear waters. Surfing - Make the most of the accredited surf instructors at the hotel's watersports centre. The contemporary design and stunning cliff-top position sets this apart from other resorts. Chic villas feature bathrooms with unbeatable views and private pools. Both the seafood restaurant and Indonesian will certainly impress. A trendy hideaway. Eco break - The resort was designed with only locally sourced, recycled and sustainable materials to innovative environmental standards. Honeymoons - An unbelievably trendy and tranquil cliff top hotel with panoramic views, indulgent spa and wonderful cuisine. Total relaxation - Private butlers ready to answer your every whim, miles of sandy beaches, and gloriously indulgent villas. Sights nearby - Visit the spectacular cliff top temple Pura Luhur- you'll be rewarded with unforgetable views. A tranquil hideaway set in lush tropical surrounds. Luxurious rooms feature large glass doors leading onto secluded terraces with epic views. A spoiling spa and outdoor yoga studio help aid complete rejuvenation. Choose from Indonesian or International dishes in the superb restaurants. Bliss. Hideaway - Find complete luxury set amidst lush tropical gardens and surrounded by rolling hills. Great walks - Take a guided walk around the surrounding villages. Sights nearby - Visit any number of the 1,000 temples in Bali. 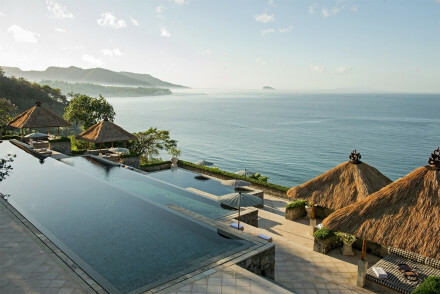 One of Bali's longest standing luxury resorts, on the now quieter East coast. 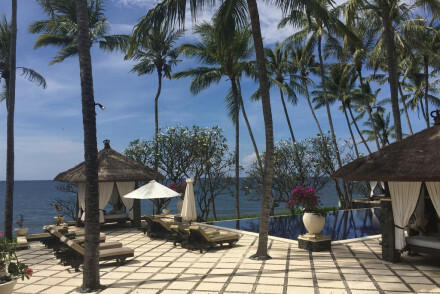 Enjoy the spectacular views of the Lombok Strait from your private terrace, or from the show-stopping three tiered infinity pool. The on site restaurant serves delicous fusion dishes and the cocktails are excellent. Bliss.